Yudkowsky is a pioneer in the field of AI safety, and among many other things he introduced the idea of the “complexity of values”, which basically means that any short verbal description can’t grasp the complexity of outcomes that we actually want. He summarized his critique of simple wishes as correct presentation of desirable outcomes in “Complex Value Systems are Required to Realize Valuable Futures”. 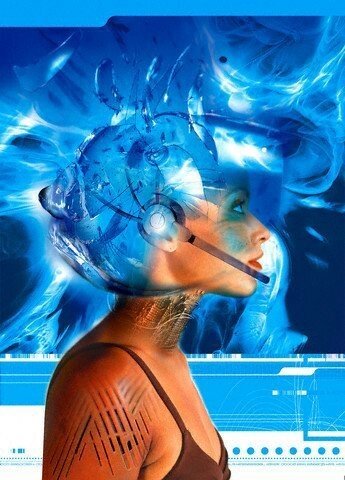 In the same article, he also introduced the concept of “fragility of values” — for example, if one digit in a phone number is wrong, the call will go to a completely different person. The Arbital page “Value,” which is likely written by Yudkowsky, starts with a definition: “In the context of value alignment as a subject, the word ‘value’ is a speaker-dependent variable that indicates our ultimate goal — the property or meta-property that the speaker wants or ‘should want’ to see in the final outcome of Earth-originating intelligent life”. Obviously, most psychologists, and people in general, define “human values” differently, as most people don’t care about the remote future of humanity in their day-to-day preferences. One of such contribution is his proof that it is impossible to distinguish between “values” and “policy” based only on observation of behavior: “The observed behavior can, in principle, be decomposed into two components: a reward function and a planning algorithm, both of which have to be inferred from behavior. This paper presents a No Free Lunch theorem, showing that, without making `normative’ assumptions beyond the data, nothing about the human reward function can be deduced from human behavior.” However, he has probably assumed that “human values” = “human reward function”, and that a human reward function is approximately the same as a rational agent’s reward function. Another post by Armstrong on indefinability of human values Armstrong is Human can be assigned any values whatsoever and the article which covers all these ideas “Occam’s razor is insufficient to infer the preferences of irrational agents.” In the post, he sums up his findings: “Humans have no values… nor do any agent. Unless you make strong assumptions about their rationality. And depending on those assumptions, you get humans to have any values.” After he proceeds with a toy model which shows that even Kolmogorov complexity considerations can’t help to find the true values. Also, it seems that Armstrong uses “human values” and “human reward function” interchangeably, which is not necessary so, unless we redefine “human reward” in way which is different from human reward center activation and experience of qualia of pleasure. 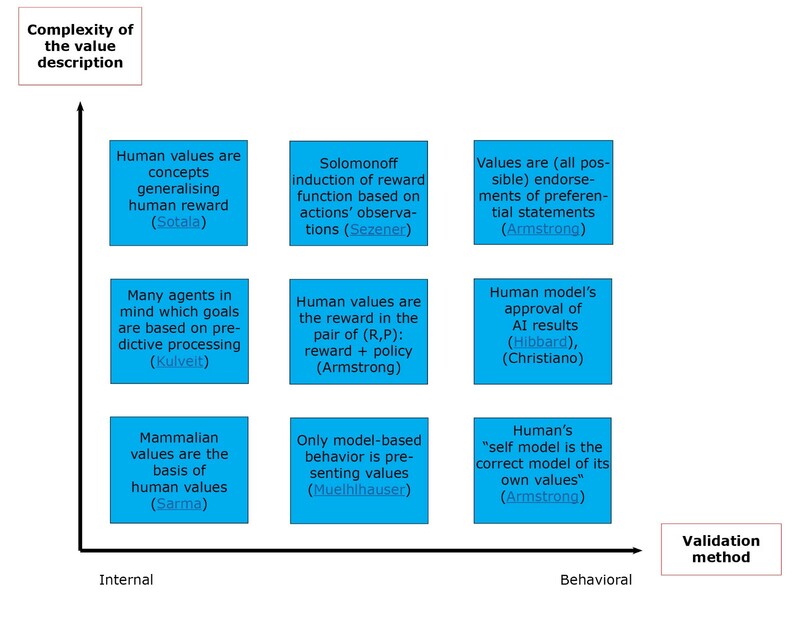 In another post “Beyond algorithmic equivalence: self-modelling,” Armstrong defines “human reward” as follows: “we can define the reward of H[uman], as the reward that H models itself as having.” However, people may have a value against value extraction and will deny any correctly extracted values. Also, most humans don’t have anything near a complete model of their own values. Most humans are not that introspective. Luke Muehlhauser wrote in the post “The Human’s Hidden Utility Function (Maybe)” that human utility function is not satisfying axioms of rationality. He also wrote that humans have 3 value systems: model-based, model free (repeating of a successful action) and Pavlovian (described as more like unconditional reflexes). He suggests that only first one is “good,” and should be used as a basis for CEV extrapolation. Sezener’s main idea is the use of the Solomonoff induction to find most simple combination of two programs, one of which encodes agent’s reward function, and the other which encodes the agent itself based on an observable sequence of actions and observations. This is similar to Armstrong’s approach of presenting human as (М,З) — a value and policy pair, and then using complexity considerations to find the simplest such pair that explains observable behavior. “…how do motivations and “values” arise? The guess is, in many cases something like a “subprogram” is modelling/tracking some variable, “predicting” its desirable state, and creating the need for action by “signalling” prediction error. Note that such subprograms can work on variables on very different hierarchical layers of modelling — e.g. tracking a simple variable like “feeling hungry” vs. tracking a variable like “social status”. This work was done during AI safety Camp 2 in Prague (2018) in the “hidden assumptions” team — but all possible errors are my own. The work is part of a longer text about the nature of human values.